BTC robot is a fully automated bitcoin trading robot with no membership fees. Crypto trading robots are pieces of software that automate crypto trades to (hopefully) make their users a bunch of money. That’s what gets advertised anyway. In reality, a lot of these so-called robots are shady fly-by-night organizations that are meant to promise people big returns, when it reality they’ll most likely be losing more than they gain. Does this make them a scam? Not really, as there is opportunity for the user to make real money. Is BTC Robot a shady site like this? Fortunately, no. 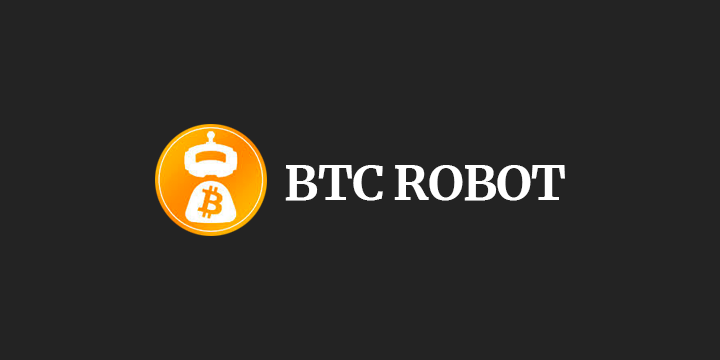 We’ll cover what sets BTC Robot apart from the industry’s bottom feeders in the BTC Robot review to come. How Does the BTC Robot Software Work? The BTC Robot automatically trades crypto positions during time of volatility (which in crypto is basically always). The method isn’t quite like the arbitrage method used by alternative platforms like Rialto. Instead, the company automates CFD positions based on a bunch of different cryptocurrencies, which play into market trends. The crypto market is almost a decade old now. And even though you can’t predict what’s going to happen, more often than not, the market behaves according to trends that have proven themselves time and time again over the course of the past decade. These behaviors have been recorded into artificial intelligences and algorithms, which perform certain trade actions based on behavior triggers from the market. Because the markets tend to be repetitive, a good trading bot will ideally be right more often than it’s wrong, and will generate great profits for its users. Any crypto trader knows that there are many, many trading bots that lurk around today’s cryptocurrency exchanges. Some of these are private bots, made by software engineers who know how to game the system. Others, like BTC Robot, are public, available to anyone willing to pay for access. Developers of cryptocurrency trading robots tend to be a little big cagey about what’s going on underneath the hood of their valuable creation. After all, traders make big profits when they have an edge on the market – insights and predictive power that others lack. If you were to share information with the broad trading public, everybody would jump on the same opportunities, and there would be no profit to make! What we do know about the BTC Robot is that it doesn’t trade crypto products in the traditional sense. Instead, it links up to a bunch of different CFD brokers. CFD stands for “Contract For Difference”. It’s a way to make profit by predicting the future value of an asset, without actually having to buy the asset. Basically, with a CFD you’re saying (for example), “OK broker, I think NEO is going to be more expensive at the end of this week than it is today. I’ll give you the market value of 10 NEO today. At the end of the week, if NEO’s price has gone up, you’ll give me my money back, plus the extra value that 10 NEO gained in that amount of time.” There are a ton of brokers that will make this deal with you, because traders tend to be wrong more than they’re right, margin profits for the company are built in, and the broker has a ton of clients. The BTC Robot has the advantage of incredible market insights built into its very core. Think of it like one of the chess robots that have been able to beat the best human chess players in the world for more than 20 years. Our cryptocurrency trading robots aren’t quite that sophisticated yet, but the BTC Robot is one of the better options an really seems to be earning people some impressive profits in the market community. One thing that we really like about the BTC Robot (now BTC Robot 2.0, apparently) is that they don’t promise you the moon in terms of profits. On many of BTC Robot’s competitors, you’ll see advertising promises like “make over $10,000 per day!!!”. Y’all, that sounds great. But come on, if all we had to do was sign up on a robot website to make that kind of money, wouldn’t nobody need jobs. Even though the BTC Robot is largely automated, you still have to have some knowledge. The BTC Robot isn’t one-size-fits-all. You’ll still have to give it some information about what assets you want traded, what personal financial limitations you have, your risk tolerance, and others. Depending on the luck of the markets, and your personal settings, different results will happen for different users. Everyone has a chance for profits, but these won’t be the same for every day or for every trader. To get a better idea of what kind of profits you can actually expect, we’d recommend that you use the BTC Robot tutorial/demo account that you’ll see when you first get into your new account. With this account you’ll be able to make real trading decisions, without the risk of using real money. You’ll see how much money you would make if you had been trading for real. You’ll also learn the way the site works, making you ready to profit big from investment when you fund your account for real. It’s always a good idea to start slow. Don’t be discouraged if you don’t make $1,000 in your first day. In fact, be encouraged by any kind of profit at all. If you can set your parameters just right, you should be able to make profit more time than not, just in the few minutes it will take to tell the robot to get moving with your money. By the time you’re an expert, you should be making some serious, life-changing profits, even if that takes you some time to build up to. BTC Robot is super simple to sign up with. Give them your email address, your nation of residence, and a new password. Once inside, you’ll be able to fund your account through a third party payment channel. It’s important to note that BTC Robot offers a 60 money back guarantee through this payment channel, so use with confidence. Once inside, use the simple interface to get the BTC Robot going, and wait and see what happens! Take your profits when you get them. BTC Robot isn’t a scam. Their customer service is pretty responsive, the money back guarantee works, and the platform has undergone some major improvements in the more than 4 years since its original introduction. You’ll still see lots of people complaining about it online, but these reviews tend never to show any proof of their claims. When you actually use the site (at least in our experience), it seems to more or less work as advertised. If you’re ready to get started with BTC Robot, open a demo account, learn the ropes, and then get as much profit as you can! We hope you have a lot of luck with the BTC Robot.